It’s becoming increasingly apparent that procurement professionals love what they do. And here’s why…. 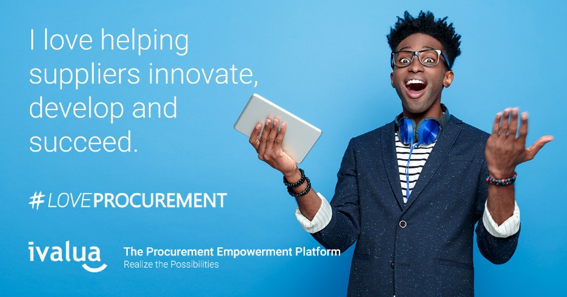 We have all seen how far Procurement has evolved in recent years. The process has certainly not been easy for some; most of us are still on the journey (after all, transformation isn’t a destination) and others have yet to begin. 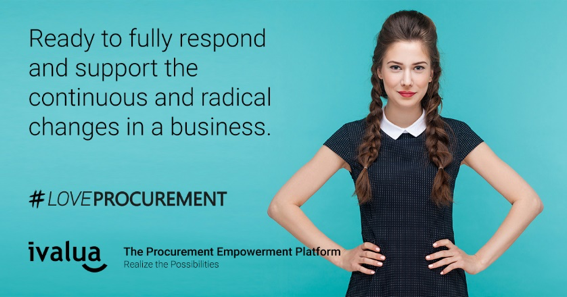 But one thing is clear, Procurement has turned the transformation corner and is speeding forward. It’s not long ago that Procurement departments were shunned and dismissed as merely back office administrators. 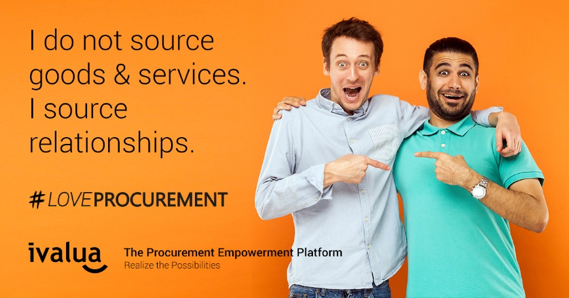 But a lot has changed and the new terminology used to describe Procurement is hardly recognizable; collaborative, innovative, data-driven, agile, change agent, advisor. Much of this due is to the broader realization that Procurement can add significant value to an organization. But to me, there is even more to it. I believe that the passion that many Procurement professionals have for their work and the fact that many of us love what we do plays a big part. 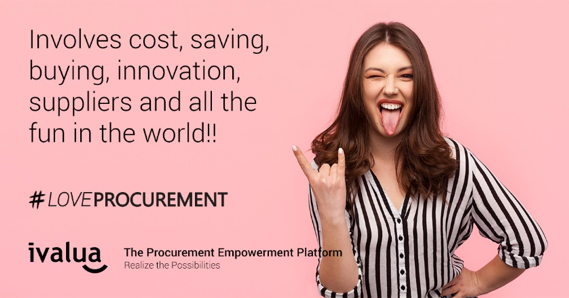 Over the last year, and before that as an industry analyst, I spent a lot of time listening and talking to Procurement professionals and it became apparent that people in this function really do enjoy and love what they do. It may have something to do with the fact that Procurement is now exciting and invigorated but regardless, I wanted to investigate further. 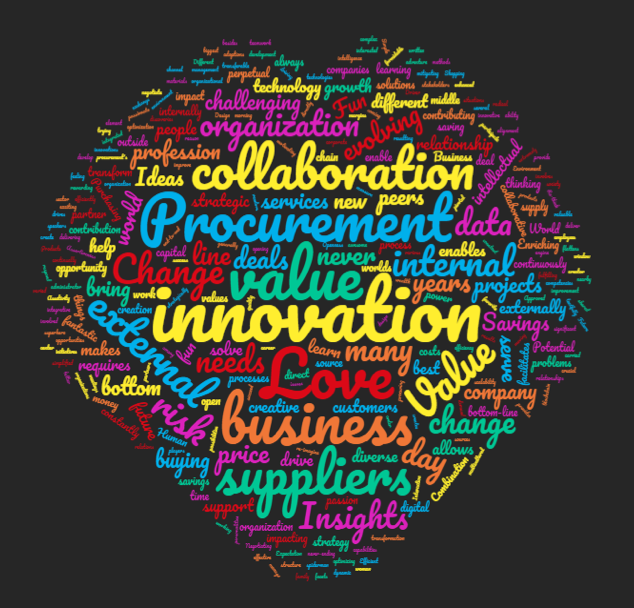 So, at our annual event we asked real Procurement practitioners one question “Why do you love Procurement?” and the response was overwhelming and quite frankly, surprising. We received over 120 answers, many of which expressed a great passion and love for Procurement. This was enough evidence for me. Why do you love Procurement? Procurement is about relationship building. Who said Procurement doesn’t care about suppliers? Procurement helps make businesses more agile. 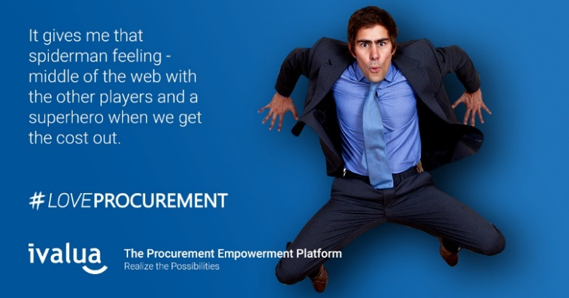 Procurement is an exciting place to be right now. It’s a dynamic function that demands a multitude of skills from the traditional negotiation, relationship management and process skills to the increasingly important sales, communication, analytics, innovative technology and more. Many Procurement groups are having to familiarize themselves with emerging technologies such as AI, Blockchain and IoT. The rapid innovation in these areas and potential impact means that Procurement must keep pace. Procurement is a gatekeeper to potentially the largest source of innovation any company has – its suppliers. Fostering those relationships, building new ones and becoming the customer of choice is critical in this hyper-competitive age. All of this makes Procurement fascinating. As such, we will continue gathering these quotes from around the world and hopefully generate more interest and excitement about Procurement. So, if you #LOVEPROCUREMENT, tell us why.